On the hunt for that perfect used car in Matteson? 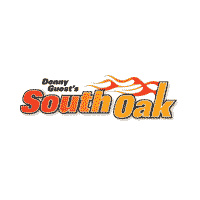 When you choose a pre-owned vehicle from South Oak Jeep Dodge Chrysler Ram, you can trust that whatever make and model you choose has been thoroughly inspected for quality. Better yet, we have a variety of used car specials available, featuring Chrysler, Dodge, Jeep, RAM vehicles as well as non-CDJR models. After you’ve taken a look at our pre-owned vehicle specials online, be sure to contact us to make an appointment and visit us in person in at our dealership near Frankfort! We look forward to getting you behind the wheel of a pre-owned car you’re excited about for a price you’ll love. Consider trading in your vehicle to make it even easier on your wallet. You've been longing for that one-time deal, and I think I've hit the nail on the head with this vigorous Latitude!!! INTERNET SPECIAL... Less than 2k Miles** $6,226 below MSRP.. Real gas sipper!!! 31 MPG Hwy* Jeep CERTIFIED!! Extremely sharp!! Optional equipment includes: Popular Equipment Group, Safe & Security Group, Cold Weather Group, Power 8-Way Driver/Manual 6-Way Passenger Seats...Chrysler Certified Pre-Owned means you not only get the reassurance of a 3Mo/3,000Mile Maximum Care Limited Warranty, but also up to a 7-Year/100,000-Mile Powertrain Limited Warranty, a 125-point inspection/reconditioning, 24hr roadside assistance, rental car benefits, and a complete CARFAX vehicle history report. A real head turner!! Jeep CERTIFIED* Real gas sipper!!! 29 MPG Hwy. There is no better time than now to buy this rock-solid Latitude*** This Vehicle has less than 2k miles!! Safety equipment includes: ABS, Xenon headlights, Traction control, Curtain airbags, Passenger Airbag...Other features include: Bluetooth, Power locks, Power windows, Auto, Air conditioning...Chrysler Certified Pre-Owned means you not only get the reassurance of a 3Mo/3,000Mile Maximum Care Limited Warranty, but also up to a 7-Year/100,000-Mile Powertrain Limited Warranty, a 125-point inspection/reconditioning, 24hr roadside assistance, rental car benefits, and a complete CARFAX vehicle history report.